The 50-year-old Portuguese coach travelled to London on Monday to complete the formalities of a return to Stamford Bridge after his exit from Real Madrid was confirmed. Mourinho managed Chelsea between 2004 and 2007, leading the west London club to successive Premier League titles in 2005 and 2006. The 50-year-old succeeds interim manager Rafael Benitez, who had replaced Champions League-winning coach Roberto Di Matteo in November 2012, and following some initial difficulties went on to guide the Blues to a third-place finish as well as winning the Europa League. 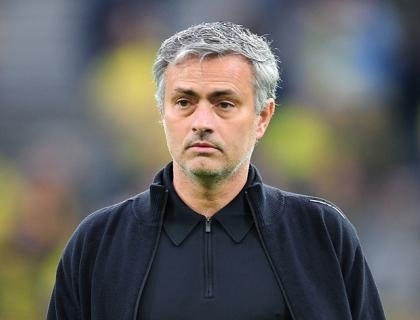 Chelsea chief executive Ron Gourlay said on the club's official website, www.chelseafc.com: "I am delighted to welcome Jose back to Chelsea. His continued success, drive and ambition made him the outstanding candidate. "It is our aim to keep the club moving forward to achieve greater success in the future and Jose is our number one choice as we believe he is the right manager to do just that. "He was and remains a hugely popular figure at the club and everyone here looks forward to working with him again."